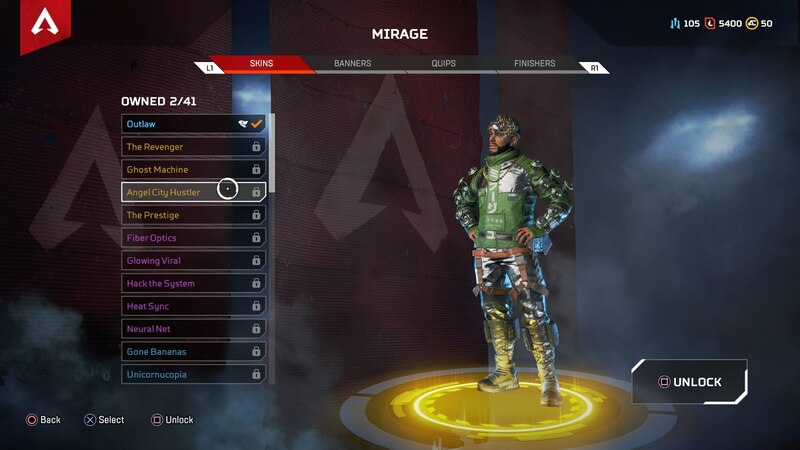 Aside from the fact that you'll likely have to spend some money to play as him, Mirage is definitely one of the more fun and experimental characters in Apex Legends. He can send out multiple clones of himself at once with his Ultimate ability, and in this Apex Legends Mirage guide, we'll be walking you through everything you need to know about the character. However if you need any additional information on Respawn's hit battle royale game, you can always head over to our full Apex Legends tips page. It's here that you can find a complete index of our individual guide pages on the game, as well as a list of essential tips for all aspiring Apex players. 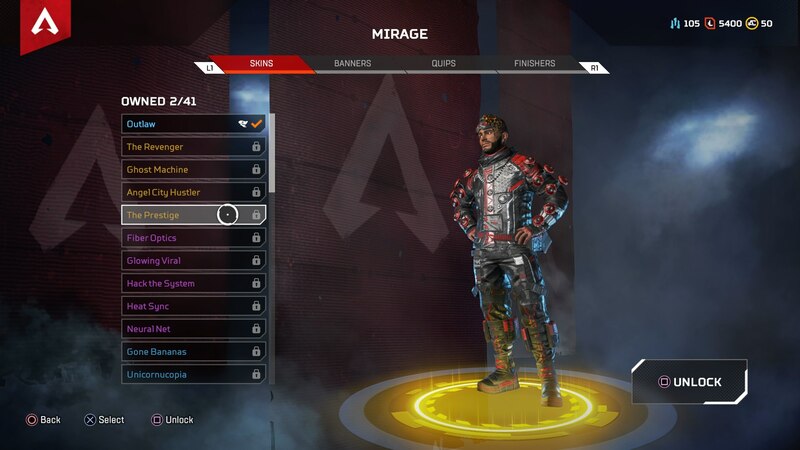 Mirage, like Gibraltar, hails from the planet Solace in Apex Legends. After his three brothers met their demise in the Frontier War, Mirage, also known as Elliott Witt, wanted to enter the Apex Games, but knew he couldn't leave his mother childless. Over time, both Witt and his mother have harnessed the power of holographic technology. Making Mirage the capable fighter he is today, he goes forth into the Apex Games seeking fame and fortune. 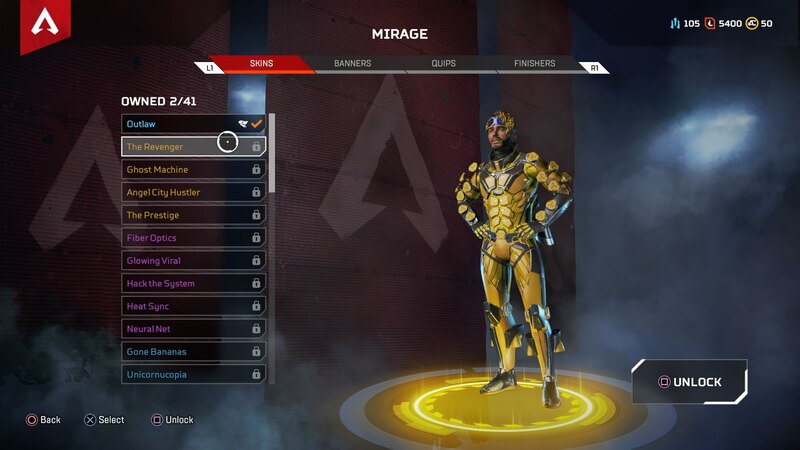 There are two ways to unlock Mirage in Apex Legends. One is through earning enough in-game currency, 12,000 to be exact, so you can unlock the character without paying a cent. 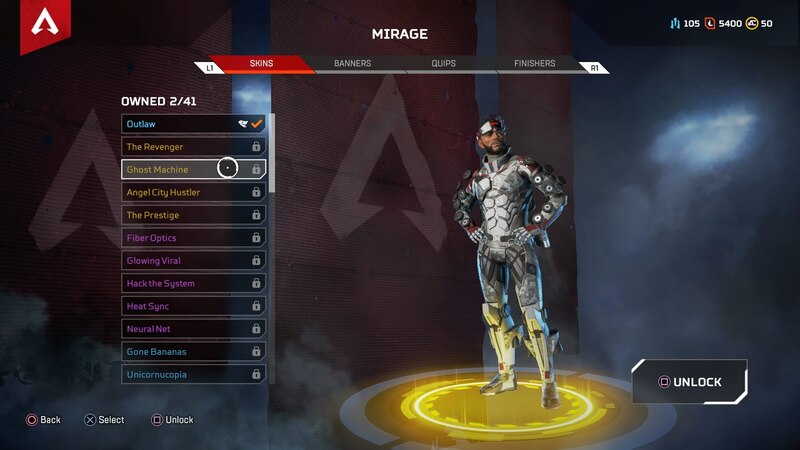 Alternatively, if you're not looking to grind out Apex Legends for the in-game currency, you can pay up 750 Apex Coins to unlock Mirage straight away. 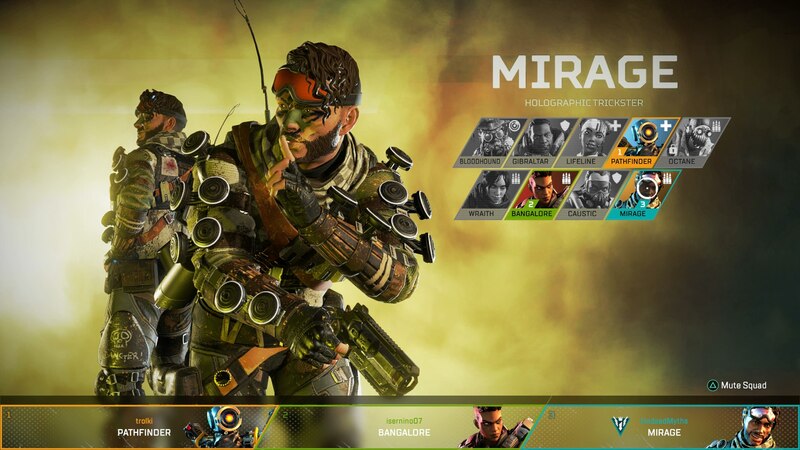 You're going to be looking at spending $10 to pay for 1,000 Apex Legends, giving you enough to unlock Mirage. 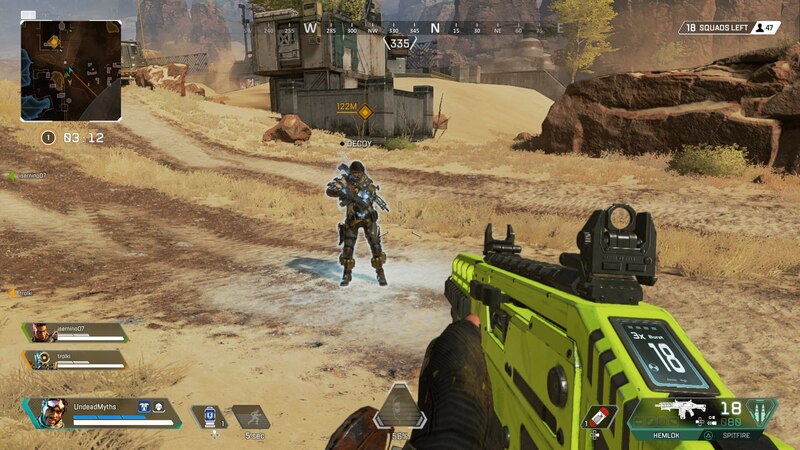 Mirage, just like the other characters of Apex Legends, has three unique abilities. There's his passive, tactical, and ultimate abilities, the latter two of which have cooldown timers. Encore (Passive) - When knocked down, Mirage automatically cloaks, and deploys a decoy that lasts for 5 seconds. Psyche Out (Tactical) - Send a holographic decoy to a designated point within eyesight, to confuse and draw enemy fire. Vanishing Act (Ultimate) - Deploys an entire team of decoys of Mirage that run in different directions, while the true Mirage cloaks. Mirage's Ultimate ability is called Vanishing Act, and for good reason. When used, Mirage sends out a group of decoys, which automatically run away from your location in all directions, while you, the true Mirage, turn invisible for a few brief seconds. There's definitely been those in the Apex community that dislike Mirage's Ultimate ability, and while it does only temporarily distract your enemies, I actually quite like it. But the trick is knowing when to use the Ultimate. If you use it out in the open when enemies can see you, chances are they're going to spot your faint outline while cloaked, and follow you. But if you can use it in cover, when you're pinned down, or when a character that has an area of effect ability like Gibraltar's smoke launcher lets loose, you're in a perfect position to distract your enemy with some decoys, while positioning yourself to get the drop on them. Mirage actually strikes quite a nice balance of passive and aggressive play in Apex Legends. Admittedly, we've found his Encore ability a bit useless in the past since it just delays the inevitable of eventually getting killed while you're downed. His Psyche Out ability on the other hand, is really useful. It's actually not immediately obvious to opposing players that what they're seeing is a decoy of Mirage, so using the decoy when you're in the middle of a firefight to draw enemy attention is a really useful tool to have in your back pocket. Outside of this, Mirage's Vanishing Act ultimate ability can be a bit hit and miss. When used at the right time, for example when you're in the middle of Gibraltar's smoke bomb, or Caustic's Nox Gas Traps, it can be really useful for drawing enemy fire while you and your time retreat and regroup. 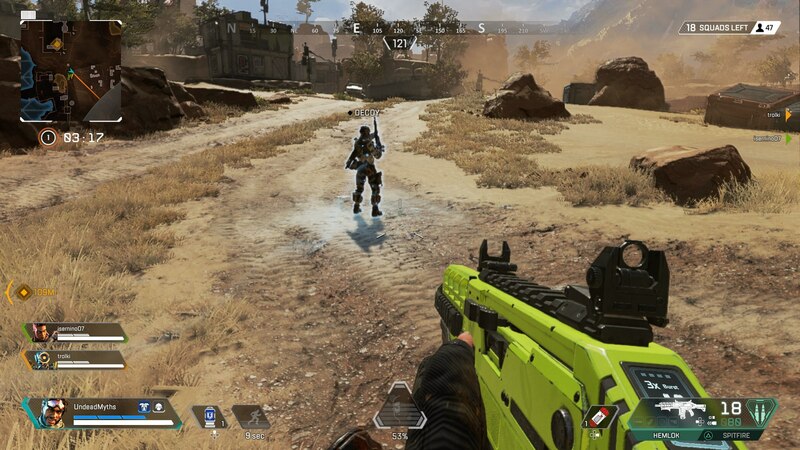 Below, you can see all four legendary skins available for Mirage in Apex Legends. To unlock any of these skins, you'll need to pay up 1,200 crafting materials. 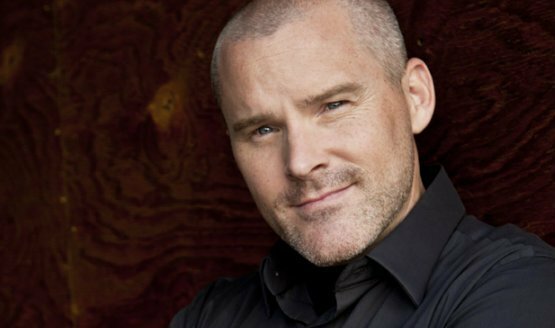 The voice of Mirage in Apex Legends is none other than Roger Craig Smith, who's been in more video games than you can count. Some of his headlines roles include Batman: Arkham Origins, Assassin's Creed, Kingdom Hearts 3, Sonic, and many more.